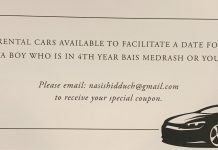 A 35-year-old frum man was assaulted late Thursday afternoon in the Crown Heights section of Brooklyn by two young African-American men, while driving a forklift, JP UPDATES reports. 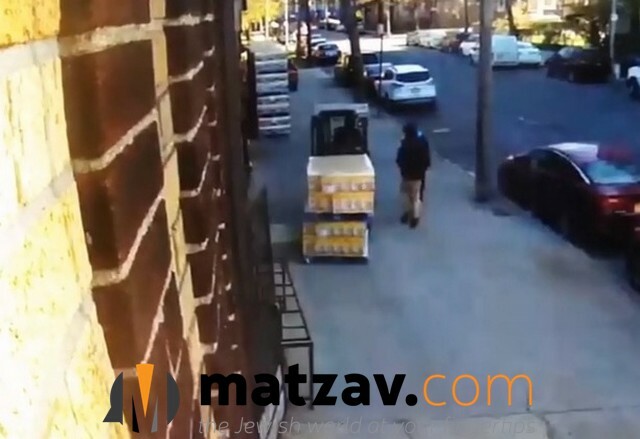 Police say the Jewish man, who works by the A1 Paper Goods store located at 617 Brooklyn Avenue, was driving the company’s forklift outside the warehouse at around 5:30 p.m when he was approached by two young men who asked him for the time. As the Jewish man took out his cell phone and answered them, one of them punched the Jewish man in the face. The victim jumped down from the forklift and was able to hold down one individual, but the boy who punched him fled from the scene. NYPD from the 71st Precinct responded to the scene and took him into custody for questioning. Why was this guy driving a tractor on the sidewalk? It’s a forklift, not a tractor. Learn the difference. terrible story. it’s like we’re back in germany. Obama empowered the antisemites. Wait till he’s gone. That’s why you don’t stay in crown heights when the rest of the frum velt jumps ship to brooklyn etc… they endanger thier lifes for what?? 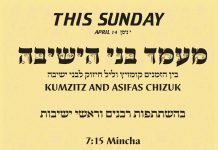 That’s why you don’t stay in crown heights when the rest of the frum velt jumps ship to flatbush etc… they endanger thier lifes for what? ?